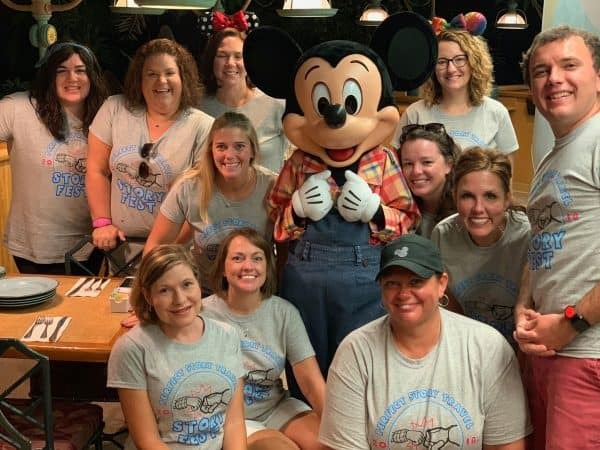 If you ever thought that Disney VIP Tours were only for celebrities and lottery winners, you're not alone. At one time we kind of thought that, too. 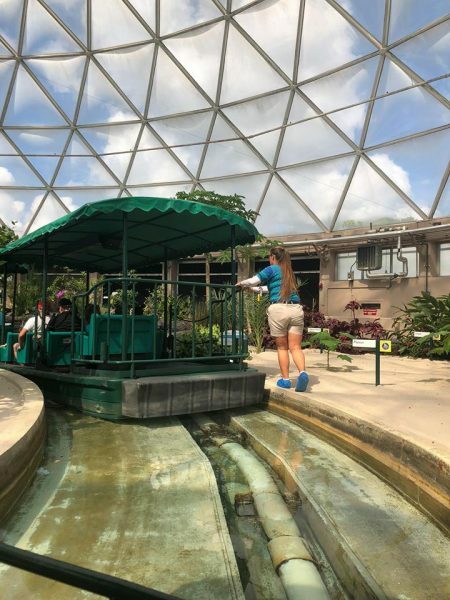 But an interview awhile back on the WDW Prep to Go podcast opened up our eyes to how this amazing private tour service might just fit into the travel budgets for lots of Walt Disney World guests. So, in the name of research, we spent a day with 2 fantastic Disney VIP Guides checking out how it works. 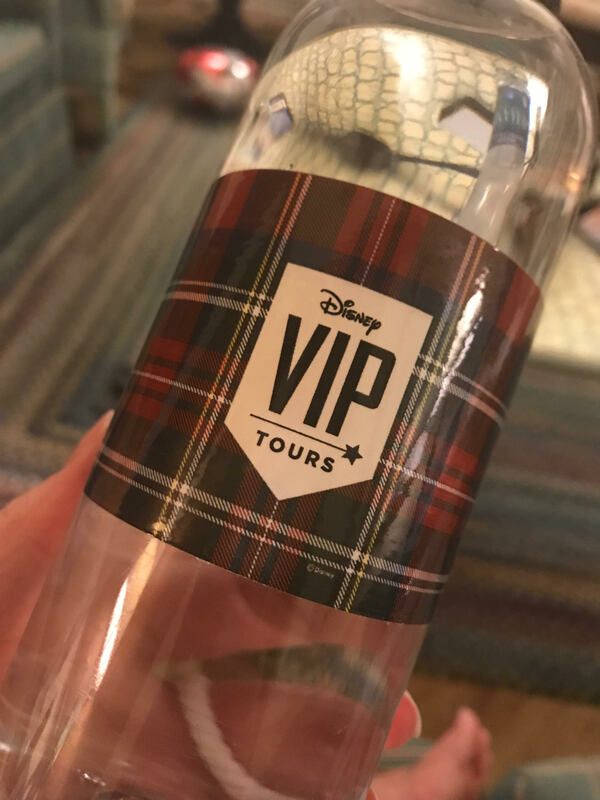 What does a day with a guide from Disney's VIP Services look like? Two ways to make Disney VIP Tours "affordable"
Who should consider booking a Disney VIP Tour? Families considering lots of "extras"
Ending the night with a BANG! 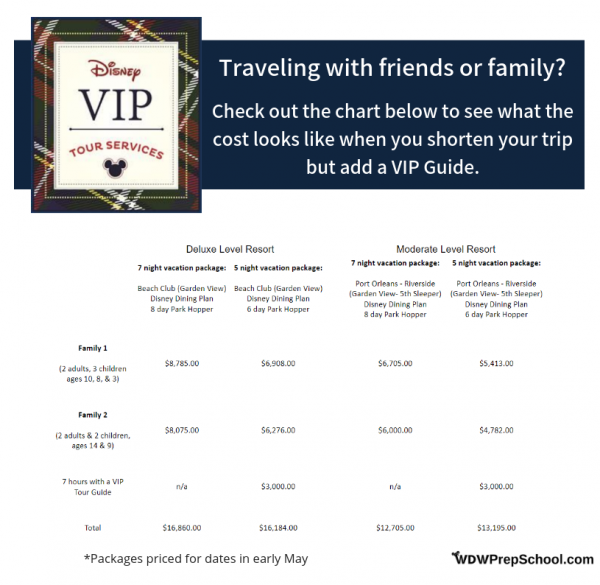 The cost for reserving a Disney VIP Tour Guide runs between $425 and $625 per hour, with a minimum duration of 7 hours. You'll need 1 guide for every 10 guests in your group, and infants DO count towards the 10. So, on the "low" end, you are looking at a total of around $3000 for up to 10 people. And that does not include your park ticket. Everybody in your group will need a valid theme park ticket, and if you are planning on multiple parks during the day, you'll need to have the Park Hopper option, too. So, yes, that is expensive and may seem out of reach, but don't say "no way" just yet. We have some scenarios that make the cost seem a lot more affordable. More on that below. Whether you already have a travel agent OR you just want help with booking a VIP Tour, using a travel agent is a fantastic option. In fact, having just done a VIP tour with the Travel Agents from Perfect Story Travel (which included several that have done multiple VIP tours), we can say with complete confidence booking with an agent is the way to go. Not only do they know Disney like the back of their hands, they'll also take the time to really know your plans, your style, your wish lists - all the things that they can then communicate to Disney to help make sure you are able to maximize the entire VIP experience. Remember, these tours aren't cheap. It would be silly to accidentally double up on something or waste time on a non-VIP day doing something you could have easily done with the guide. Let your agent help you coordinate all of that! 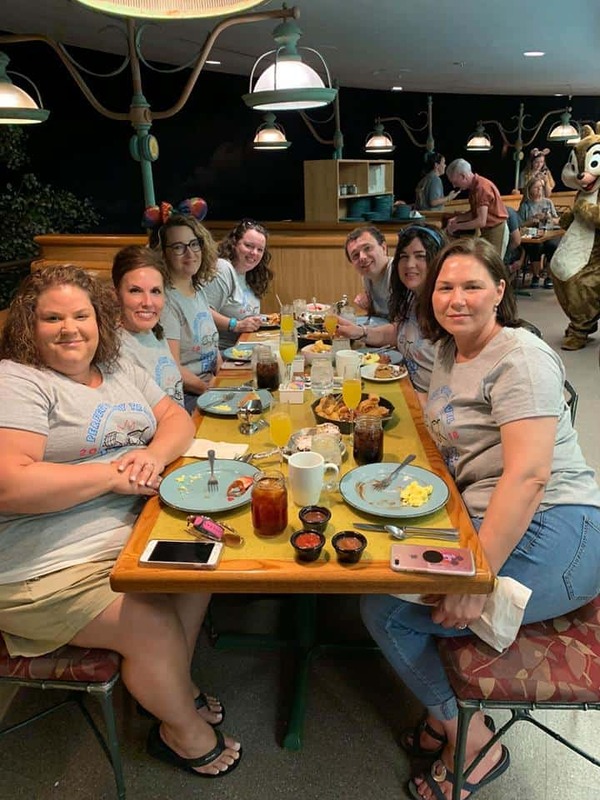 Interested in connecting with a travel agent from Perfect Story Travel for help booking a VIP Tour? Get a quote now. You can also book guides up to 180 days in advance by calling (407) 560-4033. In some instances, you can even book them same day, although we don't recommend that since that would leave you very little time to plan out how you'll spend your day. Disney mentions on their website that space is limited; however, in reality, they have a vast network of guides and backup guides and are able to accommodate nearly all requests. They aren't in the business of turning away guests requesting this experience. 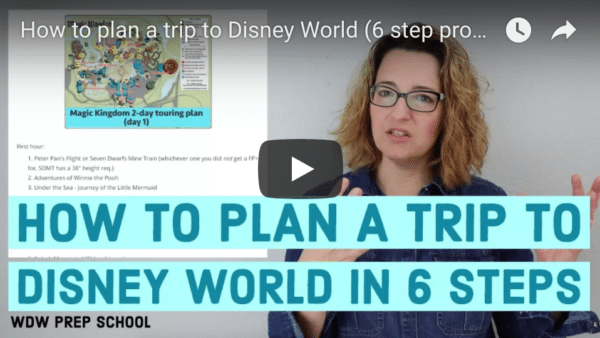 If you booked through a travel agent, they'll work with Disney and you to put together a plan for your time with the guide. If you've booked on your own, you'll receive an email confirmation shortly after booking that will list out all the details of your booking, including the cancellation policy which is a liberal 48 hours in advance with no penalty. If you cancel within 48 hours, you pay the equivalent of 2 hours/guide. From that point, you'll be asked to email Signature Services (which is the name of the department in charge of things like these tours) the list of the people that will be attending and a list of attractions you'd like to see. That plan isn't set in stone, however. You'll be able to tweak it as you go, but it helps them get a feel for how their day will look. Try to imagine the most magical day ever at Disney World and that is pretty much what your time with a VIP Guide looks like. You are in total control of the day, and as long as your request doesn't break any rules or go beyond the scope of their job, your VIP Guide will try to make it happen. Like magic. If an attraction has a FastPass+ line, you'll have access to all of those with your VIP guide. Want to ride Slinky Dog Dash multiple times? You can do that. Feel like stopping for a snack or a break in some AC? You're with an expert that knows all the best places. Want to watch Happily Ever After without having to fight the crowds? Yep. That's an option, too. See what we mean? An entire list of magic. For many years, suggesting guests consider adding a VIP Tour to a trip frankly wasn't something that was on our radar. But last year we heard something that changed our entire perspective. In a trip report interview on the WDW Prep to Go podcast, a guest was traveling to Disney World with her parents. For that trip, her parents set the budget and told her to plan the trip however she saw fit as long as she stayed within the allotted dollar amount. 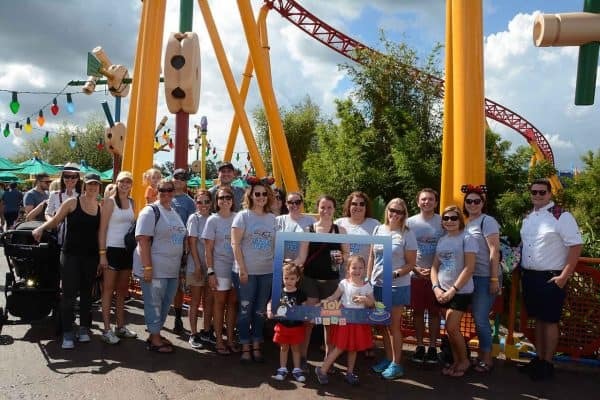 Knowing that they wouldn't be able to do a long trip, she instead opted to shorten the trip and use the money saved on hotel rooms, food, and park tickets to pay for a private Disney VIP Tour Guide for 2 days. Not only did she stay within the budget, they still saw and did everything they wanted to because of their VIP Guide. The lesson learned here is that a VIP Tour becomes way more affordable when you realize that having a guide for a day (or more) means you'll be able to get the same amount of stuff done in a less amount of time. When you book a VIP Guide with Disney, you get to choose the people that will be in your group, and as long as you stay within the 10 person/guide ratio, you're free to put together your group however you'd like. So, if you're traveling with multiple families or couples, you can easily split the cost. Even just splitting with one other family can be a huge savings and make a day with one of Disney's VIP Tour Guides much more affordable than you might have thought. If your time at Disney World is limited but you still want to see and do as much as you can, this is a fantastic option for that. 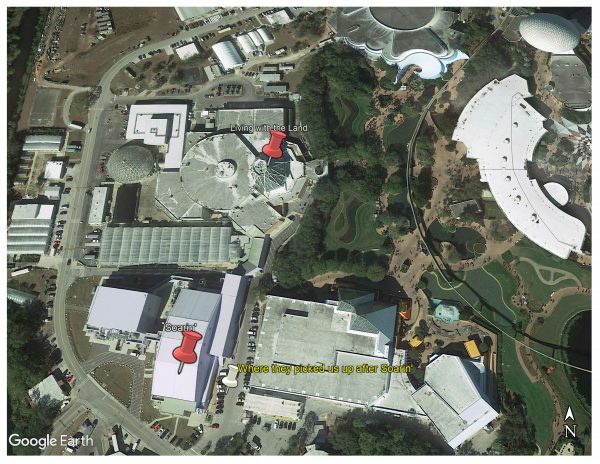 With a VIP Tour, you could easily hit most of the headliners in all 4 parks in 1 day, or split out your fun over 2 or 3 days instead of 7 or 8 days. If you are staying offsite, that 30 day FastPass+ window can make it difficult to secure all the FastPasses you may want, but that isn't a problem if you have a VIP Guide. And, remember how we said up above that splitting the cost makes it more affordable? Since lots of families share villas or houses they've rented offsite, that is the perfect opportunity to share the cost of a VIP Tour Guide at Disney World, too. Between conferences and sporting events and trade shows, there are lots of times groups of people travel to the Orlando area when (gasp!) Disney isn't always the main focus. But that doesn't mean you can't still have a lot of Disney fun, and since you can split the cost with others in your group, it can make it quite affordable to add on a day of magic. 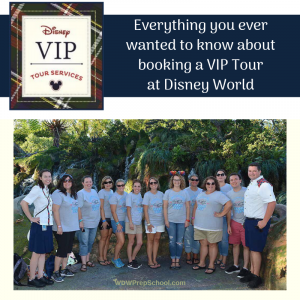 If you are considering adding a bunch of extras to your trip to give you a better view or go on more rides (things like dessert parties, Disney After Hours, or Early Morning Magic), you may find that it makes more sense to instead work with VIP Services and a VIP Guide. 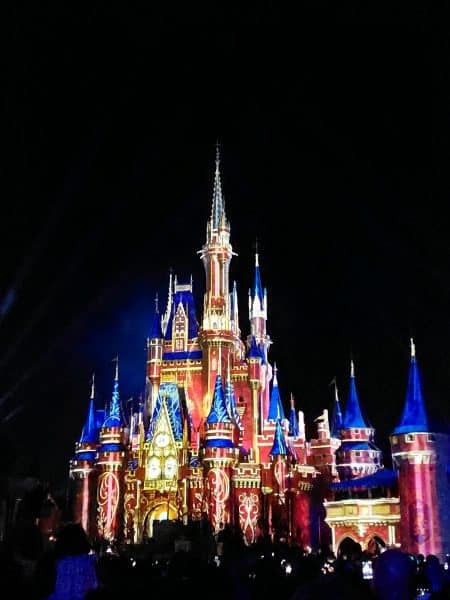 Not only can your VIP Guide assist you with gaining access to the attractions, they also have access to VIP viewing locations for all the nighttime shows. 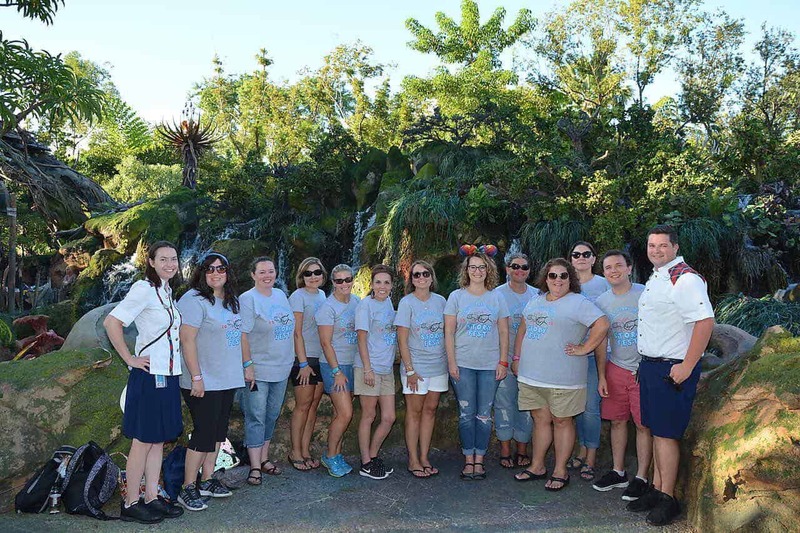 After spending 7+ hours with Disney VIP Guides and the Perfect Story Travel team, we were able to put together a list of their top tips and suggestions for people booking Disney VIP Tours. If you were ever going to wear matching shirts, Disney World is the place to do it. Our group of 11 had matching shirts, and we were told multiple times by both our guides and the Cast Members working the FastPass+ lines how much easier it made it for them to do their jobs. Even though you'll be with a VIP Guide, you'll still have to follow all the height requirement rules. So if you know you have little ones that aren't going to be tall enough to ride certain attractions, don't wait until you get there to let them know, and definitely don't leave it to the VIP Guides to do the dirty work. It can be hard for them to build any sort of relationship with the kids if they are seen as the bad guy. Despite what you might think, unless your name is Beyoncé, you'll still be standing in the FastPass+ lines. Only when safety is a concern are celebrity guests ushered in and out through back ways. Don't ask your guide to break the rules or to let you skip the FastPass+ line because that's not something they can do. The rule is 10 people per guide, so if you have 11, you'll need to get an additional guide. Don't try to sneak an extra person into your group or think that 1 more person won't matter. The VIP Guides have rules that they must follow, and if you try to have more than allowed, you'll be asked to narrow it down to 10 or pay for an additional guide. It may seem like a good idea to have your VIP Tour Guide pick you up from your resort (after all, driving you around is part of their job), BUT the clock starts ticking as soon as you meet up with them. Instead of wasting time driving to your first attraction, opt to meet them there. Lunch at places like Be Our Guest (where you can pre-order) or any Quick Service location that has Mobile Order is a fantastic way to minimize the time you spend eating so you can maximize the time you spend riding. Though the rules on this are a bit fuzzy and tour guides will tell you they don't need to be tipped, you should spend some time thinking about what you want to do, especially since any tips will need to be in cash and it could be a lot of money. In the end, we ended up tipping about 10%, but have heard reports of people tipping much more and less than that. Be sure to plan ahead so you're not scrambling to figure it out when you're there. Hands down our day spent with 2 fantastic VIP Guides was one of the most fun days I've ever had at Disney World. Originally our plan was to have a lovely breakfast at Garden Grill and then meet up with the guides at the podium just outside the restaurant. But, because we were a group that know how to party be on time, we were early to breakfast and then done way ahead of schedule. With an hour to kill, we decided to head downstairs from Garden Grill to take a whirl on the not-so-much-a-thriller known as Living with the Land. Only today, "Living with the Land" was a lot more like "Shipwrecked with the Squash" or "Marooned with the Melons." Don't get me wrong, the first few minutes of our voyage were amazing. In fact, all was going great until just past the farmhouse. That's where our boat came to a screeching halt, right by the part where they loudly say "Here at Epcot, we’re learning to reduce the need for pesticides by using natural predators like ladybugs and wasps to control pests." Over and over and over we listened to that spiel as we slowly crept forward. As we waited (and regretted those 2nd and 3rd refills of water we had at breakfast), we stressed out as our hour buffer before meeting our guides slowly dwindled away. Once we knew there was no way we were going to get off that boat and back upstairs by noon, Shannon picked up her phone and called Signature Services and told them the problem. And as expected, they were amazing! Not only did they contact our guides for us, they also changed the meeting place to the exit of Living with the Land which was a huge relief. The guides also reset our tour starting time since the delays weren't our fault. Not long after (and right when we had just started a rousing game of Rock, Paper, Scissors to determine who was going to swim to safety to secure emergency supplies like Diet Coke and chocolate), help appeared and the Cast Members working at Living with the Land pushed our boat to the safety of the Aquaculture room. There we were able to climb out and wind our way out through the greenhouses to our new meeting place where our our 2 guides, Carson and Lyssa, were waiting. After a few short introductions (and a much needed restroom break), we were off! Our goal for the day was to knock out most of the main headliners in all 4 parks. Ambitious? Maybe. But if ever there was a time to try it, today with our VIP Guides was the day. To start our journey, we started our day at everybody's favorite glider-based Disney attraction: Soarin'. 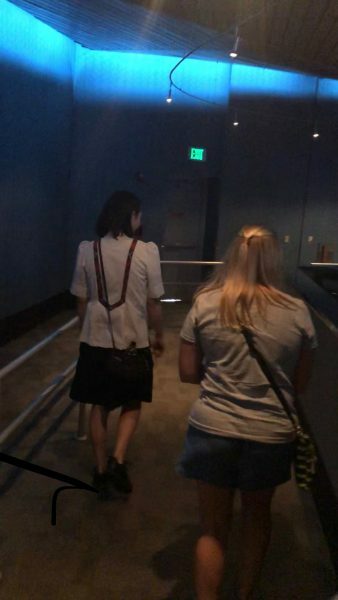 As was the procedure at all of the attractions, one of our guides would always lead the way to let the person working the FastPass+ line know how many people were coming through with them. This is where the matching shirts came in so handy! It was so easy for them to say "11 people coming through - they all have on shirts that look like this!" and then they'd point at our cute shirts. At Soarin', we were quickly through the line and we were even able to request the top row middle, which are the best seats in the house. The entire time we were in line our guides were chatting us up and we were peppering them tons of questions. Have I mentioned yet just how lovely our guides were? They were not just regular Disney-friendly, they were top-tier Disney-friendly. Our guides waited for us at the exit and then, since our next stop was Test Track, instead of walking out the "regular" exit, they took us out the back door of Soarin' where they had 2 vans waiting for us - and they drove us over to Test Track! Of course, since we were backstage, we couldn't take any photos, but just know if you're into Disney stuff like that, it was very, very cool. And, not having to walk over there saved so many steps on what was going to be an extra-long day. Lesson learned: Having the vans gave us a safe spot to stash stuff - like our bags - if we didn't need them. That was a nice perk when you're just hopping out for a couple rides! 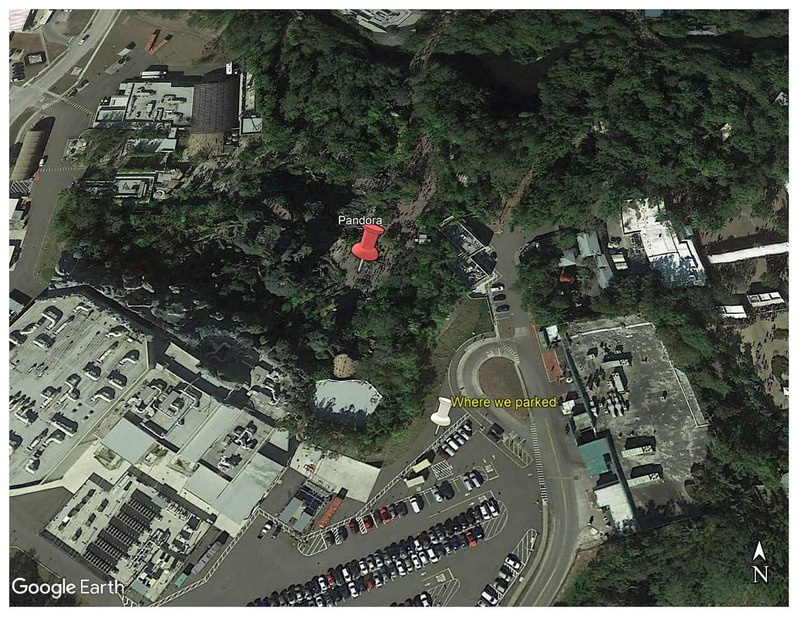 After a trip around the backside of the World Showcase, our guides parked near Test Track. 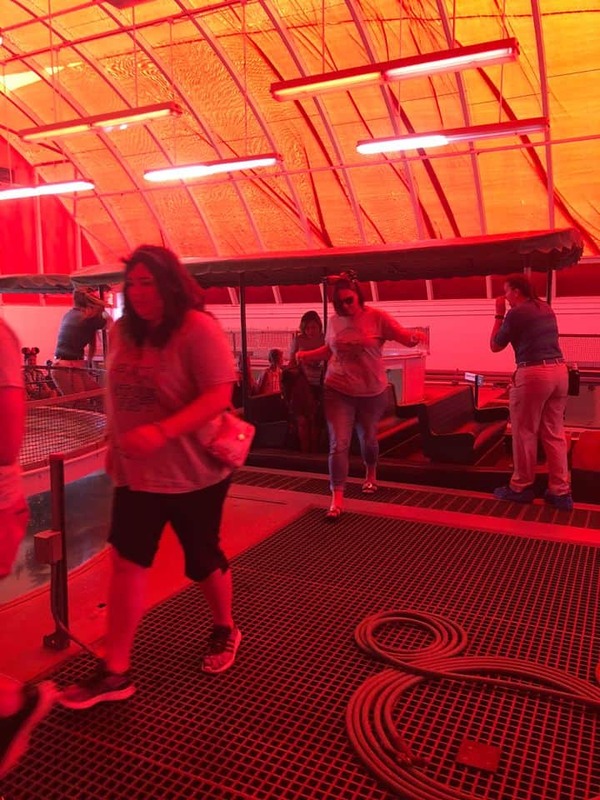 We made our way from backstage out to the front of the attraction and before we knew it, we were in the preview room making our cars and then out racing around the track. After we were done there, we headed over to Frozen Ever After where we had the perfect number for our own boat which made for an adorable photo. There may also be video of the whole boat singing, but we'll keep that for ourselves. With the Epcot headliners done, we headed back to our carriages white vans so we could continue on to our next stop, which was Hollywood Studios. We were all really looking forward to Hollywood Studios because we were meeting up with a lovely family that had won a WDW Prep contest that gave them the chance to tour with us (and our VIP Tour Guides) in the new Toy Story Land. Considering that at this point it was the middle of the afternoon, having the guides there to get us into the FastPass+ lines instead of having to use the long standby lines was a huge blessing because I'm 99% sure that Andy must live on the sun as hot as his "backyard" is. Seriously. Toy Story Land is brutally hot in the middle of the day. Before we could make our way to the sun Toy Story Land, we had to get parked. Our VIP Guides expertly navigated to a lot that was kind of back by Rock 'n' Roller Coaster and Tower of Terror. Upon our arrival, we were met by other VIP Guides with iced down water and snacks - something we all desperately needed. Then, since we were entering a new park, we were required to have our MagicBands scanned, but instead of having to go all the way to the front of the park, they used an iPad and scanned them right there in the parking lot. Lesson learned: Being able to bypass the front gates is one of the perks (and time savers) of entering the parks with a VIP Guide. We only had to go through security and the turnstiles once (on our first park) and then every park after that, somebody either met us to scan our MagicBands or our guides took our MagicBands and scanned them for us while we were busy having fun on an attraction. One of our guides needed to step away for a few minutes. While she was gone, another lovely guide stepped in to help our crew. All of that was totally seamless and very well choreographed. After meeting up with the winners, we headed into Toy Story Land where we Rode Slinky Dog Dash, Alien Swirling Saucers, Toy Story Mania, and then Slinky Dog Dash one more time. After we were "Toy Story Land"ed out we took a group photo with the lovely winners and then said our goodbyes. fyi - after telling 1 of our guides we wanted a group pic, this photo was choreographed between our guides and a PhotoPass photographer. At that point we were a little bit ahead of schedule so we decided to give Tower of Terror a ride on our way back to the vans. After finishing up at Tower of Terror we were ready for our next destination: Pandora! By now we were getting hungry and we were all ready to sit down for a bit which fit perfectly into our original plan of an early dinner at Satu'li Canteen. So, to maximize our time, we all took out our phones and did Mobile Order on the ride over so that we wouldn't have long to wait for our food once we arrived. The parking here put us right behind Pandora. 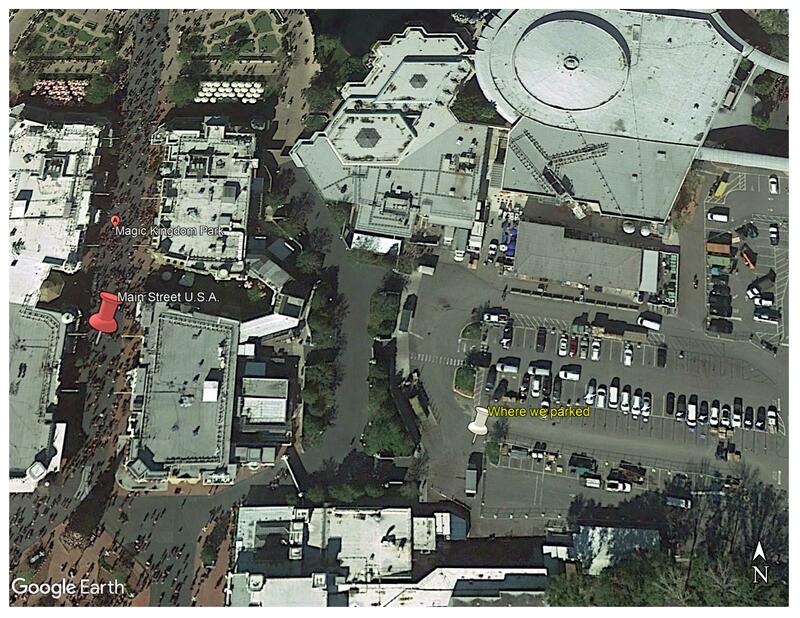 Like, RIGHT behind one of the walls there so it took just a minute to walk from the vans into the park. Our lovely guides snagged us 2 tables in the air conditioning, which meant by the time our mobile orders were done we had a place to sit. Our guides grabbed their dinner, too, and then we all relaxed and enjoyed the air conditioning for a bit. After eating, we decided we should do Na'vi River Journey first (to give our stomachs a bit longer to rest) and with our stomachs full, we all headed that way. Of course, we couldn't leave Pandora without a stop by Flight of Passage, so that was next. Lesson learned: one thing we didn't really account for was how much harder it is on your stomach to do thrill rides back-to-back. Even things that didn't usually bother us were a little iffy after riding so many attractions. If you're prone to motion sickness when riding attractions, you might want to take that into consideration when mapping out your day! After Flight of Passage we said "Eywa ngahu" (which Google tells me is Na'Vi for goodbye) to Pandora and we were off to our next stop: Magic Kingdom. As we pulled up to Magic Kingdom, our guide reminded us to grab our stuff, which was a harsh reminder that we wouldn't be coming back to our royal carriages the handy vans again. 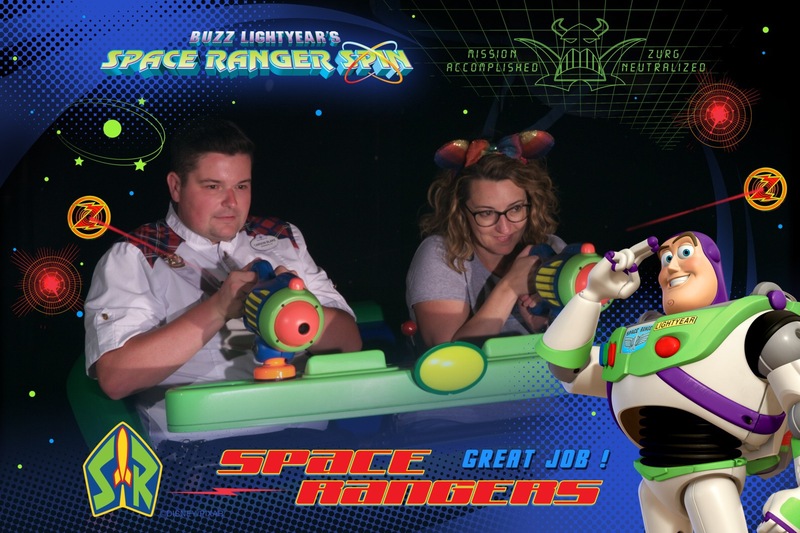 Our first stop here was Big Thunder Mountain which was followed up by Seven Dwarfs Mine Train and then Space Mountain and, because we had some time left before Happily Ever After, Buzz Lightyear's Space Ranger Spin. 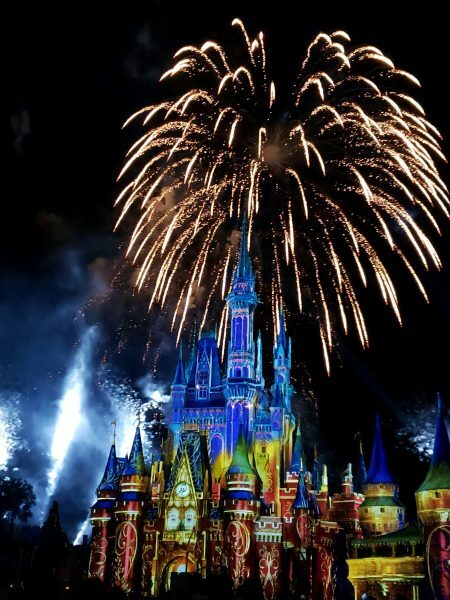 By the time we were done with Buzz, it was 15 minutes until the fireworks were set to star which made me very nervous that there wouldn't be any space left, but our guides assured us there would be. And, of course, they were right. They led us to a roped off area in the middle of the Hub, at the perfect distance from the castle. The spot was partially full of other families and groups and their VIP Guides, and even though the crowds outside the ropes were shoulder to shoulder, we had plenty of room. Knowing that our time with our guides was up, we all hugged and thanked them before the fireworks started. At that point in the day, we were all close to (or over) 20,000 steps and exhausted, so a few tears of gratitude for our VIP Guides might have been shed and of course, Happily Ever After always brings us to tears so we were a puddle of sappiness by the time it was all over. And just like that, the fireworks ended and our time with our VIP guides was done. I'm not going to lie, it only took a few hours to get very used to having somebody lead the way, so to suddenly be left without that was a little disorienting. But, we sucked it up and slowly made our way with the rest of the crowds towards the front of the park - exhausted, but still grinning ear to ear. Do you have any questions about booking a VIP Tour? Let us know in the comments. If I were to treat my 5 kids to this one time would you advise beginning, middle, or end of your trip? 1. VIP day of thrills — Go on 11-12 popular rides with your tour guide and up to 5 other people. The cost is $350 per person. But it lets you do all the “main” popular rides at three of the theme parks in seven hours. I have done this tour twice and doing again in may. It is hands down the best tour Disney offers. The only difference is you share your guide with another family or two. Best part about this tour, you get all the rides out of the way and can relax and enjoy rest of day without worrying about missing anything. The 350 cost includes the price of lunch, which is served at the land pavilion and has more options that most Disney restaurants. Little under $1900 for a family of 5, I know because I recently booked it for this May again. 2. VIP night of adventure – $250 per person. Comes with a snack and drink. It is purely an animal kingdom theme park ride tour. 4 hours you get on every ride worth riding in the park, with no lines. You also get VIP seating for the nightly show. It starts at 4:55 or 5pm. This is awesome because it lets you enjoy and explore the park all day without stress of kids wanting to wait in super long lines, just explain they are riding it that night anyway. Lets see the other stuff instead. 3. Early morning magic $69 per person. Get in the park 1 hour 20 minutes early, get a buffet breakfast. Get to ride 7 popular rides in Magic Kingdom or 4-5 in HS. As much as you want with minimal lines. You will be able to ride them all, they restrict the number sold per day it is offered so everyone who pays will get to ride everything in time allotted at least once. (usually more than once). When the park officially opens if you walk quick you can ride several more rides before people filter in. 4. H20 Glow — Best possible way to see a water park at Disney. Price is $59 and gets you 5-6 hours in the water park starting at 5pm or 6pm and going until 11pm. It is a separate ticketed event so a water park ticket is not required to get in, the H20 glow ticket is all that is required. No burning hot sun, and no lines given they cap ticket sales to keep it that way. 5. 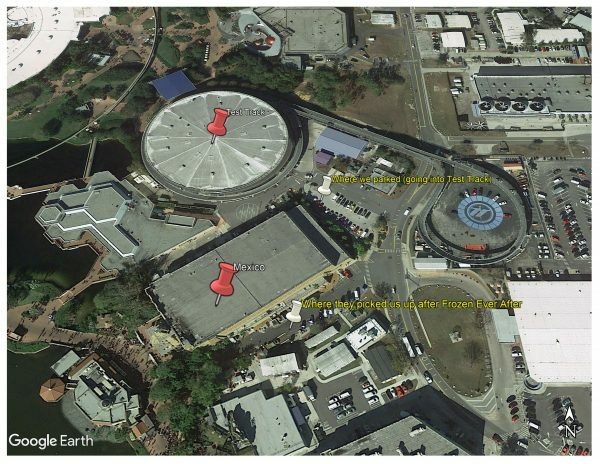 Disney after Dark — For MK Animal kingdom or Hollywood. It is 3+ hours of no lines. $125 per person. This is the single best way to spend on a budget, along with early morning access events. Honorable mention. Disney MK tour, forget name. It goes on all the popular kiddie rides at Magic Kingdom. $250 I think. Really more for people with kids under 44″ This one I have never done myself. But if you have little kids/toddlers too small for the rides on other tours it your best bet. Honorable mention. Disney animal experiences. $69 – 250. My favorite is the nature safari in Animal kingdom park. You walk across a rope bridge and explore behind the scenes and get photo’s and up close looks at animals. I want to do the snorkling one in the reed at epcot… but my wife hates the idea of swimming in a reef fish tank. Honorable mention — Cabana at Disney Typhoon lagoon. While this one I haven’t done yet, I am doing it in May and have been to the water park before. There is absolutely not enough chairs or shade for adults to relax. $360 for a private cabana with a few other perks including is well worth it to enjoy the park. That being said… Universal water park is subjectively better, and less expensive. Honorable mention — Vip tour at Universal Orlando. — For about the same price as the VIP day of Thrills you get a VIP experience at this theme park. While Disney is awesome, a one day VIP tour to UO is awesome to add to any trip. Honorable mention — Skip Disney. Skip Universal. 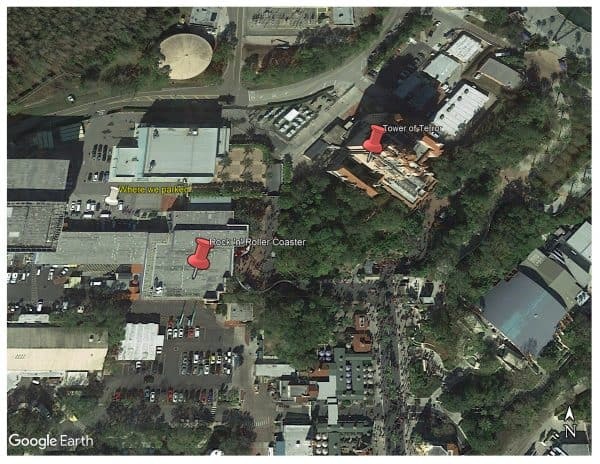 There is AMAZING go-cart + arcades near Disney world. Like world class Go Kart facilities huge tracks. You can spend an entire day racing for the cost of a day at Disney World. Seriously you absolutely won’t regret going with a non-theme park Go-kart day. And do you have to use park hopper passes if you plan on staying the whole day at one park and using the VIP tour? Are you able to divide the hours over more than one day? Like 5 hours on one day and 5 hours on another? So glad you enjoyed the day. We did the same at Disneyland and I wasn’t as impressed. We were a party of 3 with no strollers so we moved pretty fast. I loved the reserved nighttime seating but basically the guide was a human fast pass. I guess because we did backstage magic with Adventures By Disney a few years ago and entered the rides at the exit, I expected this. But no, we waited in the fast pass line…and sometimes they weren’t super short. I was surprised by this, We did enter thru the exit on some non fast pass rides. And I found I odd that we were suppose to pay for the guide’s meal? I don’t mind but at this cost, I would think Disney would be treating us…VERY Different from Universal’s VIP day where delicious food is included etc. I am happy to have done it but that is where it ends for me.